Editor Note: This page is for historical purposes only. Last update 1999. Link update 07/26/2018. See also my general Blackjack Notes, Blackjack Conditions in Australia, and Blackjack Tournaments in Australia. This information is compiled from casino brochures and the like. Clickon the small images to see a larger image. Reef Casino (Cairns); http://www.internetnorth.com.au/reefcasino/casino.html official page. Hotel Conrad and Jupiters Casino are located on a small island (BroadbeachIsland), Gold Coast Highway, Broadbeach. Jupiters is Australia's thirdlargest casino, with about 110 tables (including about 20 roulettetables) and some 1000 machines, attracting 16,000 visitors per day. Theyhave one bank of 20c progressive jackpot video poker,down from four banks a year ago. Jupiters has a sumptuous high rollers club called "Club Conrad", withplush marble and thickly carpeted stairs. Bets per play range from $50to thousands. Jupitersruns several blackjack tournaments every year.I entered the "War of Nerves" tournament for the first time in July 1995,and the Ultimate Challenge in November 1995. In both cases, I came secondin the first heat, and first in the second heat, and bombed out in thesemi final. I would be interested in hearing from other tournament players,and any information about tournaments offered by other casinos. In October 1998, Jupiters revamped its international showroom. The seatingis now more like that of a cinema. The first show in the new format iscalled "Inneuvre", and I found it stunning. It is a mixture of dance, trapezeartists, music, gymnastics, and more. Box office: (07) 5592 8303. January 1999: Jupiters has followed Treasury in dumping Video Poker.This time, it is one of the 20c bank that has disappeared from Jupiters.Two years ago, Jupiters had four banks of Video Poker; two of 20c and twodollar banks. Apparently, the Jupiters management believe that people don'tnotice the fact that relatively good machines like Video Poker (approx.4% house edge, depending on the skill of the player) are being replacedby mindless slot machines (house edge must be 10% or less by law; the vastmajority are set at over 9%). "No-one ever went broke relying on the stupidityof the customer" seems to be the management strategy. See also the http://www.webcom.com/~castaway/gold_coast/ooljupiters.html Castaway'sTravel page (with online reservations), http://www.broflo.com.au/cj.html Australian Travel Association page, and the http://www.ausinfo.com.au/golf/accommoarticle%20titled%20%3ca%20 http://www.afr.com.au/content/970206/invest/invest5.html Table has turned for Jupiters. Below: two views of Hotel Conrad and Jupiters Casino, and the entranceto Club Conrad. The Conrad Treasury Casino opened its doors in April 1995. It is housedin the old Treasury building, George Street Brisbane, near the Victoriabridge. The operators, Conrad Hilton, have refurbished the building, andare supposed to have made the casino fit into the feel and style of thebuilding. To my mind, they have only partly succeeded, since the noise,smoke and vibrant colour of the casino just seem to clash with the charmand character of the building. (I don't even especially like old buildings! )That said, and given what they had to work with, its not too bad. I guessit was the cheapest option for the government, stuck with a building onthe heritage list. Treasury has about 100 gaming tables (including about 45 blackjack and20 roulette tables) and some 1150 gaming machines,split over two floors (plus VIP and invitation only areas on upper floors),after the recent remodelling. It attracts some 12,000 visitors per day.They now have no Video Poker at all. The nearbyLands Administration building (of similar vintage, early 20th century)has been converted into the Conrad International Hotel. The vast majority of machines include note acceptors now. The end of 1998 brought the end of an era: thelast clunky $1 Video Poker machines were removed.With them has gone thelast reason for me to visit Treasury, so it's goodbye. When Treasury opened,there were three banks of video poker machines (well, four, but two sharedthe same jackpot). These were the only machines in the casino where anyskill was involved. Now, almost all the machines are of 5c denomination(but you can play tens or even hundreds of credits each game), all essentiallythe same, and all made by Aristocrat. I estimate that less than 5% of themachines at Treasury are by any company other than Aristocrat. They sureseem to be the flavour of the year. I really feel that Treasury has made a big businessmistake here. Everybody identifies with Draw Poker; everyone knows aboutJacks, Aces, and Diamonds; playing cards have been around for at least200 years. Incredibly, Treasury have apparently not explored the optionof mutli-game machines. They even had a few multigame machines, and onlyloaded one game on them. If it is true that more people prefer the fancynew games, then why not bring out machines that have fancy games and traditionalpoker games in one machine? Poker players will appreciate the updated machineswith note acceptors and sharp screens (Treasury had allowed the Draw Pokermachines to deteriorate for a year or more), and they can still have theextra revenue from the new games, that are supposedly better for the casino'sprofits. Personally, I think that the machines would still have to be linkedto a progressive jackpot meter to achieve the same following as the 20cDraw Poker machines had. Treasury already have a bank of mixed machinesconnected to a progressive jackpot, so it is obviously achievable. ConradInternational Hotel (1800 506 888 or +61 7 3306 8886) is located just acrossQueens Park from the Treasury Casino. Here is a map of the two buildings. This isthe name of the slot club for Jupiters and Treasury; it supersedes theold Jupiters and Treasury player cards. The same cards are used to ratetable play; you hand your card to the floor manager when starting tableplay. Gaming machine play earns "bonus dollars" that can be redeemed forcash or meals, gift shop item, etc. Note that rewards for table play, whilebased on action, is at the discretion of the floor persons. 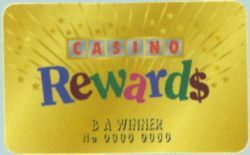 Although theyuse your Casino Rewards card to identify you and keep track of your complimentaries,table and machine rewards are separate. Exceptional machine play may earncomplimentaries in addition to bonus dollars. There are three levels ofthe card: white, silver, and gold. The gold card includes 5 nights peryear of free accommodation, a meal and gift on your birthday, show tickets,access to Club Conrad facilities, and so on. The casinos seem reluctant to publish the rate at which machine playearns bonus dollars. From observations and experiments, it seems that thewhite card (and the old players cards) earned 0.5% of action, so for every$2 wagered, you earned one bonus cent. The silver and gold cards claiman extra 20% over the white card, and indeed it seems that these cardsearn 0.6% of action. This is good, and compares with the best of Las Vegas.It is easy to get a silver card: you just need to earn 30 bonus dollars;gold cards are much harder: you need 1100 bonus dollars in a 12 month period.Thus, you need about $183,000 of machine action in one year to rate a goldcard. (Note: you don't have to spend that much, just put that much intoaction! This would cost the typical (non expert) player about $15,000).So gold cards are for very serious players! However, the expert videopoker player could earn a gold card in about 3 royal flush cycles (20cmachines), or just over one royal cycle ($1 machines). The Reef Hotel Casino comprises a 128 suite hotel, two restaurants, brasserie,coffee shop, rooftop cafe, three bars and a nightclub with lush tropicalgardens, swimming pool, and private fitness centre. It attracts some 4000visitors per day. The casino is of moderate size, with 540 gaming machinesand 50 gaming tables. 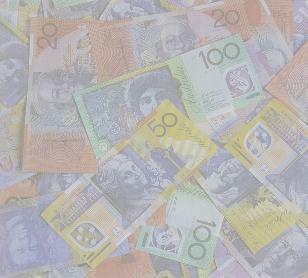 The Reef casino is in financial trouble. As of late April 1997, the Australian Tourism Group and Malaysian casino operator Metroplex, are tobuy its licence from Casinos Austria and inject $40M into the project.This is likely to satisfy the bankers. The Australian Financial Review newspaper has an article titled http://www.afr.com.au/content/970303/invest/invest4.html Reefon a losing Streak. As of July 1997, the new owners are taking over; shares bottomed recentlyat 10c each (down 90%). Hopefully, things will improve from here on. See also the http://www.internetnorth.com.au/reefcasino/casino.html official page. Sheraton Townsville hosts regular high stakes blackjacktournaments. It is the smallest of Queensland's casinos, with about32 tables and 274 gaming machines. They have $1 and $2 progressive jackpotvideo poker. December 1997 saw a $12M refurbishment, with new restaurants, bars,air conditioning and air quality systems, and a TAB. It is now claimedto be the first fully themed casino in Australia. The new Stateroom isa plush room with higher minimums and a higher dress code than the generalcasino (but it's open to everyone). More gaming machines are on the way. Personally, I hope that the trendtowards "random cash jackpots" does not catch on. That's because I enjoyplaying with an advantage, and it doesn't cost the house anything. Witha random jackpot, you never know if you are playing with an advantage.A few high jackpots in a row could cost the house dearly, and they areunattractive to the smarter player (who makes just as much, perhaps more,as regular players). Sheraton Townsville attracts some 2000 visitors per day. See also the http://www.sheratontownsville.com.au official page. Australia's newest casino, "Star City", opened on the 26th of November,1997. It has over 200 tables, 1500 gaming machines, and a large sportslounge. There is parking for 2500 cars. It is a pretty casino, with manyAustralian themed areas (e.g. Reef, Desert, Tree, etc). It is located inthe foreshore of Sydney Harbour. They have 2 aquariums totalling 50,000litres of sea water that they claim will establish to a genuine coral ecosystemby about mid 1998. Despite the 1500 gaming machines, the only videopoker available (as of December 1997) is called "Wild Card", availableonly on some $1 "MultiStar" machines. It is a weird variation on standardJoker Wild VP, similar to a game that you can play in pubs throughout thestate. Video Poker Tutor gives a return for this game (playing 10 coins,or $10 per play) of under 93.6%! None of the other machine games have progressivejackpots, and most 10c games appear to have a return in the very low 90s(e.g. "Penguin Pays" is 90.4%). All slot machines have note acceptors.Most machines are of 10c, 5c, or $1 denomination, with just two busy banksof 2c machines. Onmy last visit, I saw no Keno, but all the usual table games were there,including "Let it Ride", "Caribbean Stud", and "Pai Gow Poker", all withhigh minimums (all Caribbean Stud that I saw were at least $15). Most tableshave easily seen signs showing the table minimum; you need this to findyour way around. All tables were open, and conditions were already quitecrowded, on a Saturday afternoon. The "Coral Room" opens in busier times,and is totally non smoking. It has about 50 games of various denomination,a handful of 2c and 5c slot machines, and a higher dress code than therest of the casino. Ideal for players trying to escape the smoke and someof the bustle of the main gaming area. See also http://www.starcity.com.au (nothing about the new casino yet), and the http://www.sofcom.com.au/sydney/Page3.html SydneyEntertainment and Events page. Canberra Casino offers world class pokertournaments. Unusually, the Canberra casino has no gaming machines;ideal for serious table players who hate the slot machine noise. However,they are expecting gaming machines soon. The 8000 staff includes 2500 croupiers, 2000 restaurant staff, 500 hotelstaff (900 with the second tower), and 200 security staff. The casino areaconsists of 8 gaming rooms, and includes the Sports casino, hot-pink VelvetBar, Asian-themed Diamond Room, the Monte Carlo Room and the Rio Carnevale. For high limit players: Omaha and Omaha High-Low with a Qualifier. All games will be structured limit and for the higher stakes players potlimit will be available on request. Crown are running some poker tournamentsnow; see my tournament page for details. See also the http://www.crownltd.com.au Crown web page, not to be confused with the American http://www.crowncasino.comCrownCasino Corporation page. Visitor numbers are expected to climb to well over 25,000 per day. Itis already quite crowded at peak times. Wrest Point was Australia's first casino, having opened on 10th February,1973. It has 33 gaming tables and over 490 machines, and the hotel has278 rooms. It has its own web page.Wrest point hosts regular high stakes blackjacktournaments. The Burswood Casino in Perth, West Australia. It attracts around 9000 visitorsper day, and has over 1000 gaming machines. The hotel has 414 rooms. Burswoodhas its own web page. Adelaide Casino is housed in an elegant old building in the heart of theAdelaide Central Business District. To my mind, they have done a betterjob installing a casino in this sort of building than have Treasury. Theyhave 80 tables; all the usual games are offered, plus live poker. Thereare around 800 gaming machines, and a thing called "Royal Ascot" that isan electronic horse race. They have a blackjack side bet called "Dollar Sevens", which is a bit differentfrom similar side bets in other casinos. The pay table is: 2 unsuited 7'spays 50 to 1; 2 suited 7's pays 150 to 1; 3 unsuited 7's pays 500 to 1,and 3 suited 7's pays 7,770 to 1. In addition, the three suited sevensqualifies for free entry into the BlackjackDollar Sevens Tournament, run approximately every 90 days. Adelaidecasino also offers poker tournaments.Adelaide casino now has its own webpage. Christmas Island is an Australian Territory, not on the Australian continent.In fact, it lies approximately 3300km northwest of Perth. The casino therewas closed in June 1998, with unpaid staff causing a riot. For international casino information, see this section of RollingGood Times Online, or CasinoCity. The http://www2.eis.net.au/~qogr/QOGR6.HTM Queensland Officeof Gaming Regulation is now online; it has some fascinating informationabout setting up a casino in Queensland, and some statistics of revenue..